Many people take dietary supplements or vitamins. And increasingly, they’re likely to give them to their pets, too. As many as a third of U.S. dogs and cats may receive vitamins or supplements. The most common are multivitamins, supplements to support arthritic joints, and fatty acids to reduce shedding and improve a coat’s shine, according to a 2006 study published in the Journal of the American Veterinary Medical Association. Pet owners also may give probiotics to alleviate gastrointestinal problems or antioxidants to counteract the effects of aging, such as cognitive dysfunction. With a growing population of aging, overweight dogs, the market for dog supplements is expected to increase 37% by 2012, reaching $1.7 billion, according to Packaged Facts, a market research firm. Veterinary nutritionist Susan Wynn, DVM, sees many clients in her practice near Atlanta who give their dogs vitamins and nutritional supplements. “They come in with bags full sometimes,” she says. But do dogs need those vitamins and supplements? And are they even safe? Experts say some work, others don’t, and some aren’t necessary and may even be harmful to dogs. “Most people are doing it because they want to, not because it’s necessary,” says C.A. Tony Buffington, DVM, PhD, professor of veterinary clinical sciences at The Ohio State University Veterinary Teaching Hospital. WebMD talked with experts for answers to frequently asked questions about dog vitamins and supplements. 1. Does my dog need vitamins? Most dogs receive a complete and balanced diet – including necessary vitamins and minerals – from commercially processed dog food, according to the FDA. Dogs fed a homemade diet may need supplements. “It’s absolutely critical, but it should be done to match the diet,” Wynn says. “You can’t just create a meal and give your dog a vitamin.” Check with a veterinarian or nutritionist for help in determining what, if anything, is needed. 2. Is there any danger in giving my dog vitamins? Possibly. If an animal already eats a balanced diet and receives excess portions of some vitamins and minerals, they could be harmful, according to the FDA and veterinarians. Too much calcium can cause skeletal problems, especially in large-breed puppies; too much vitamin A can harm blood vessels and cause dehydration and joint pain. Excess vitamin D can prompt a dog to stop eating, harm bones, and cause muscles to atrophy. 3. Should I check with my vet before supplementing? Absolutely, vets say. Symptoms that look like arthritis, such as a dog with a weak rear end, could instead be a neurological problem. A poor coat could indicate skin, metabolic or hormonal problems. Ingredients in some supplements, such as herbals, may interact with other medicine an animal is taking. Your vet can also assess whether your pet needs a supplement. “If they’re eating a complete and balanced diet and they’re healthy and have no problems, they don’t actually need supplementation,” Wynn says. She recommends fruits and vegetables to pet owners who want to give extra nutrients. Other than that, she limits her recommendations if a dog is healthy. 4. Do dog supplements work? It depends on what the supplement is used for and how it is manufactured, veterinarians say. Clinical trials are rare. “It’s hard finding quality evidence for the efficacy, much less the need for these products,” Boothe says. Glucosamine-chondroitin supplements, commonly given to dogs with osteoarthritis, have shown mixed results in testing in humans and animals. A 2007 study published in The Veterinary Journal concluded that dogs treated with glucosamine-chondroitin sulfate showed less pain and more mobility after 70 days of treatment. But a 2006 study for the National Institutes of Health Glucosamine/Chondroitin Arthritis Intervention Trial concluded that the supplements weren’t effective in humans with mild pain. Those with moderate to severe pain may have seen some benefit, but because of the small size of this group the researchers called for more studies. Fatty acids can help coats look better. Fish oil supplements also can reduce inflammation, according to a study published in the American Journal of Veterinary Research. Antioxidants such as vitamins C and E also reduce inflammation and help aging dogs with memory problems, Wynn says. But she’s cautious about recommending supplements, especially for young animals that might be on nutritional supplements for many years. “Almost none of them have been tested for long-term safety in dogs,” Wynn says. 5. Do supplements contain the promised nutrients? Again, it depends. ConsumerLab.com, which tests products for its industry certification program and sells subscriptions to its reports for consumers, surveyed glucosamine/chondroitin supplements for pets and humans. 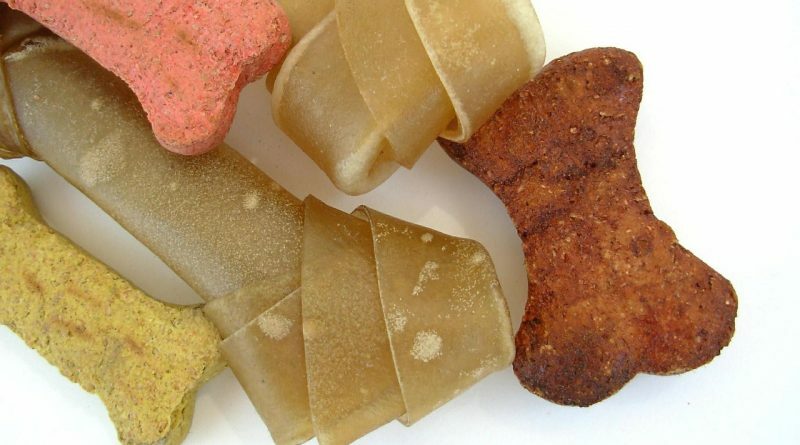 Sixty percent of the pet products failed, compared to 25% of those manufactured for people, says Tod Cooperman, MD, president of ConsumerLab.com. ConsumerLab.com tests of three probiotic supplements in 2006 showed that only one contained enough viable organisms to be effective. “In the pet area, we’ve seen the quality is lower than it is for human supplements,” Cooperman says. 6. Who regulates dog vitamins and supplements? The FDA oversees animal supplements. A 2008 report from the National Research Council, a scientific research unit of the nonprofit National Academies, concluded there was little information on the safety of pet supplements. The National Animal Supplement Council is addressing some of these concerns. The council sets labeling guidelines, requires adverse event reports for problems with supplements and tests some products to check whether they contain the amount of ingredients claimed on the label. The group has also required its members – about 90% of the industry – to adopt new standards for manufacturing by June 2010. But “the quality of these products is a major, major concern,” Boothe says. 7. How should I choose a supplement? Here are tips from veterinarians and those who test supplements or work in the industry. Look for a brand that specializes in one area, or that has commissioned clinical studies of their products. Read labels. Know the name of the ingredient you’re looking for, so you won’t be deceived by sound-alikes. Look for a lot number on the product, a sign that the company has set up quality control checks. Look for a contact number for the company on the label. Call and ask who formulated the product, what expertise they have, and how long the manufacturer has been in business. Be wary of claims that sound too good to be true, such as promises to alleviate diseases like parvovirus, cancer, and hip dysplasia. Be cautious about giving human supplements to dogs. Some products, such as garlic, can be dangerous for dogs. Know the seller. Cooperman says ConsumerLab.com has found fewer problems with supplements sold at vet’s offices, although they do occur. 8. What about supplements in dog food? Check the label to see how much of an ingredient is actually in the food. Some adult dog foods contain glucosamine/chondroitin but because of state regulations that restrict the amount, it’s usually not a therapeutic dose. A prescription dog food, on the other hand, may contain therapeutic levels of the supplement. Other dog foods might contain botanicals, such as cranberry, to ward off urinary tract infections or DHA to boost cognitive development in puppies. “From an efficacy and safety standard, if it’s in a pet food, I have a greater level of confidence,” Boothe says.